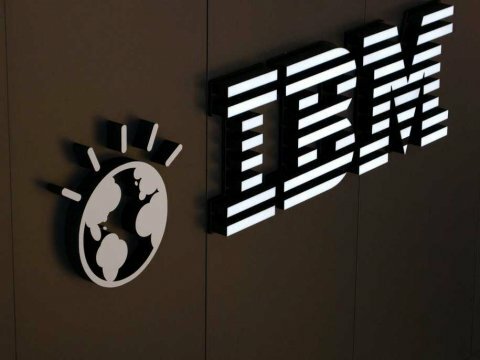 In recent months, every one has been talking of IBM’s commitment to Africa. I want to focus on the importance of talent in the region. Several years ago, I participated in an IBM initiative to bring the advantages of global integration — spanning mindset through operations — to communities, clients, and IBM employees, with a specific emphasis on Africa. We refined our view of the vital attributes of personal leadership in a global economy, expanded IBM’s Corporate Service Corps and created global teams to accelerate our understanding of, and success in, growth markets. I was given the opportunity to lead our South African team, and through this role, I saw first-hand the importance of talent. Our report,“Developing global leadership: How IBM engages the workforce of a globally integrated enterprise” describes that working environment and how challenges and skill gaps were addressed. The central lesson of that experience is that the talent required for success in the global economy of the 21st century is present and growing in Africa; digital infrastructure in much of the continent is world class; and in fact, because the environment for innovation is so wide open, and because entrepreneurial thinking is so prevalent, Africa is becoming the proving ground for aspects of contemporary commerce, and redefining the lines across and among industries. The May 16 blog featuring M-Pesa illustrates these changes through the reframing of telco and banking, and broader transformations. This has caused me to rethink, and reframe, my own conceptions of talent — to more fully factor in elements such as empathy and curiosity, and extending to the requirement for rapid prototyping to design new approaches to talent development. Where the talent exists in Africa, it is excellent. But as with large swaths of the global economy — and even more acutely in Africa — the demand for talent often outstrips supply. The education system is improving in many countries, but efforts to create and refine targeted skills to meet the needs of the fastest growing industries are increasing at an even faster pace. The skills gap is viewed as a barrier to development — at the level of enterprises, industries and many nations. So our efforts on this issue must be broad-based: collaborative across academia, government and enterprise; and built into the fabric of the communities and organizations in which we do business. They need to bring the best of IBM to serve the growth opportunity. We recently opened a new skills center in Morocco, creating new high-tech jobs to meet the skills requirements of our clients. And we have fused the exclusive one-two punch of business consulting and R&D in our newly launched IBM Customer Experience Lab (CXLab) — combining IBM Research’s forward thinking, analytical and predictive capabilities with our consulting industry and transformation expertise. The CXLab helps clients define new business models and customer experience, leveraging next generation mobile, social, analytics and cloud technologies. For example, banks in Africa need to reach the unbanked population and compete with popular payment systems. CXLab partnered with a bank in Kenya to offer a mobile finance cloud infrastructure and respective mobile phone applications that support mobile technology to process, monitor and analyze high volumes of low-value retail transactions. The IBM Research – Africa laboratory was launched in Nairobi, Kenya to build on our direct presence in Africa which now exceeds 70 years and spans more than 20 countries. Along with conducting exploratory research, the lab encourages innovation, and engages local entrepreneurs and inventors to develop solutions to the challenges of Kenya and other fast-growing regions of the world, all while nurturing talent. We know that in a world transformed by data and the tools to exploit it, one reality is that our clients and their customers demand their best experience in every interaction. This is not a technology gap, but a talent gap. We know how to do this; we must accelerate through our collective resolve. Why does Kenya lead the world in mobile money?